Leftovers seem to be a never ending thing around our house. There are many ways to use leftovers and sometimes it can be hard to get creative. Here are several easy leftover ideas and tips to get you started! Freeze leftovers in a muffin tin lined with aluminum foil. When frozen label, store in a freezer bag and use for lunch one day. Freeze leftover mashed potatoes in small portions in freezer containers or freezer bags. 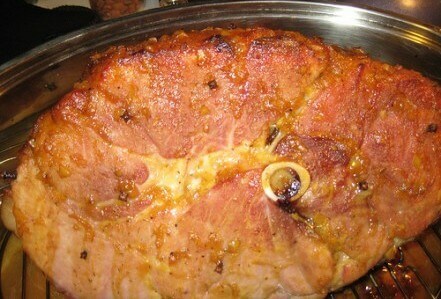 Use to thicken soups and stews in place of flour. Grind up 1 serving of leftovers and use as baby food. If you don’t use them right away, freeze in ice cube trays, when frozen transfer to a freezer bag. Cut leftover meat loaf or roast beef into chunks and add them to spaghetti sauce to make speedy spaghetti and meatballs. Chili Pie is a great way to use leftover chili and certain kinds of vegetables. Here’s a good Chili Pie Recipe. Spread leftover sloppy joe meat (hamburger with barbecue sauce can also be used) in a casserole dish. Place sliced American cheese or cheddar cheese over the meat and top the cheese with homemade or refrigerator biscuits. Bake at 350° until the biscuits are done. Meatloaf Sauté 1 large sliced onion in a frying pan. Cut meatloaf into bite size pieces. 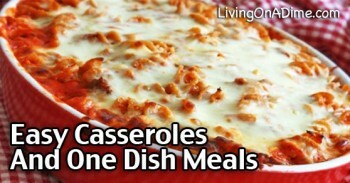 In the frying pan add meatloaf, one 8-ounce can of tomato sauce, plus a can of peas or mixed vegetables. Heat through. Grind up or dice leftover roast beef, stew meat, etc. Add to scrambled eggs along with cubed leftover potatoes for an easy breakfast. Use leftover pork and beans to make an open-faced sandwich. Put the beans on hamburger bun halves or bread, top with a slice of American cheese and broil until the cheese starts to bubble and is melted. Hash is a good way to use extra onions, peppers and hamburger. Here’s a good Hash recipe. Spicy Hash– Dice leftover roast beef, roasted potatoes, carrots and onions. Add bread crumbs until the consistency is such that you can shape into cakes. 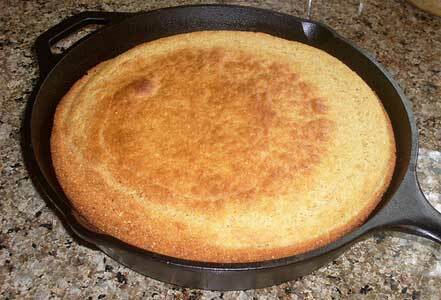 Cook over medium heat in a greased skillet until pancakes are light brown and heated through. Sundae Pie– Crumble leftover cookies, angel food cake, pound cake or brownies in a pie pan. Spoon vanilla ice cream on top. Spread on a thin layer of strawberry jam and cover that with chocolate and butterscotch ice cream topping. Freeze and serve for dessert. For more easy leftover ideas, along with delicious and easy recipes that your family will love, check out our Dining On A Dime Cookbook! Easy Chili Pie Recipe Menu-Fried Ham Slices Easy Cornbread Recipe Use Those Thanksgiving Leftovers! Great tips! Another good way to use leftover veggies is to save different types in a ziploc in the freezer. When you have an ample supply, add broth or tomato sauce to make a soup. 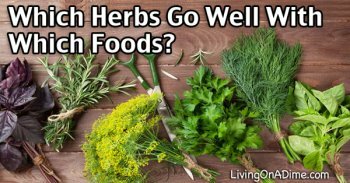 Herb Guide – Which Herbs Go Well With Which Foods? 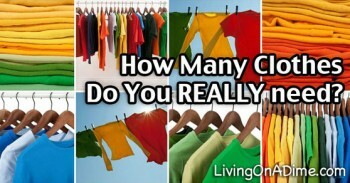 How Many Clothes Do You Really Need?